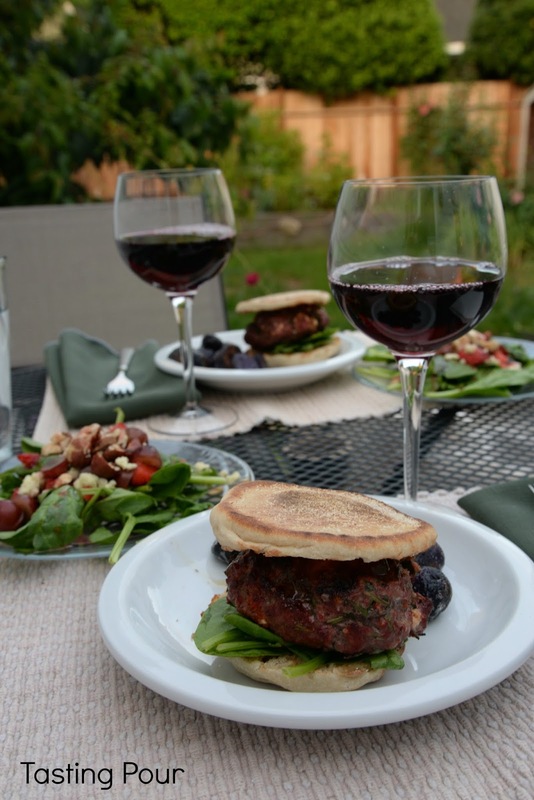 We don’t think Pinot noir is necessarily everyone’s “go to” wine for July 4th grilling but what if you start with a rose welcome wine and pair a lush Oregon vintage with grilled lamb burgers? See? It works. We firmly believe it is impossible to grill without a cold beverage. Not only for the grill(er) but guests awaiting the main course also need to quench their thirst. Beer is a great choice and one we have made many, many times. If you want to serve a wine that everyone can enjoy paired with just about any appetizer, opt for a dry rose. Our favorite rose this summer has been Stoller’s Rose of Pinot Noir. It is pretty, watermelon(y) and delicious fun in the glass. In these hot summer days, it has reached 100 in the Willamette Valley in June y’all, we think we could polish off a bottle a day. 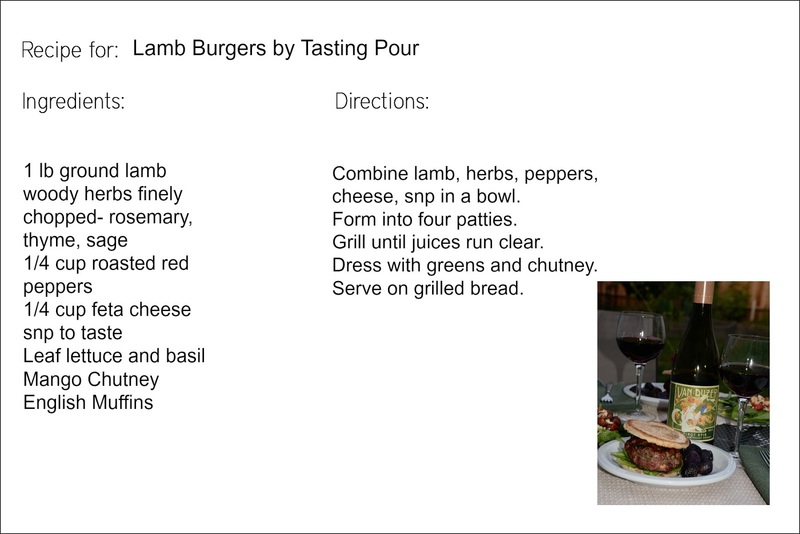 Pinot noir and lamb are a classic pairing. People often equate Pinot noir with a more delicate flavor profile and seek something sturdier and frankly more approachable for burgers. Ahh, but have you had a 2012 Pinot noir from Willamette Valley? I know some are still on the shelves. This was a warm, dry perfect year. The wines are lush, ripe, and juicy – like you landed in a berry patch without any thorns. We attended an event recently called Pinot 365. It was a tasting from wineries who are open 365 days a year. Well, not literally. We were upset when we thought folks were working on Christmas. These are wineries that don’t close their tasting rooms in winter. We stocked the H E Double Hockey Sticks up on fun 2012 Pinot noir. Among the bottles that we adopted and gave a home to were 2012 Willamette Valley Pinot noir from Rex Hill, Ponzi, and Montinore Estate. Please note these are not the higher priced vineyard designates or reserve wines. While those are always special, as are our burgers, we are talking about a casual meal. Plus 2012 offered fabulously approachable wines at all price points. 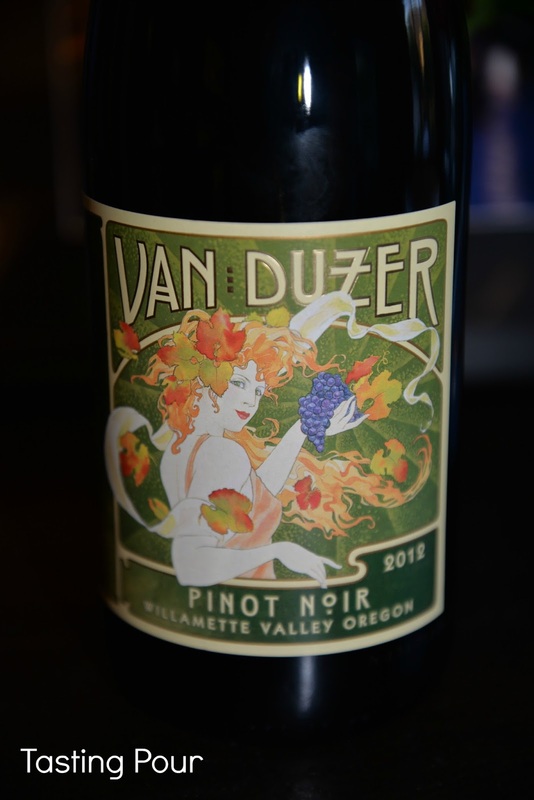 We don’t think you could go wrong with a 2012 Willamette Valley Pinot noir. Of the ones we purchased the Van Duzer Vineyards was probably the most decadent. We are not suckers for pretty labels but when they adorn bottles of pretty wine we are on board. Look for a future article on Van Duzer. This wine is the only one that is available outside their wine club. Really makes us curious about what we cannot have, so we are planning a visit soon. Some wines were winery provided samples and some were purchased. All were enjoyed by the wine writers.